Our SF studio was on the second floor. We leaned out the windows to smoke cigarettes. It was the “Eagle’s Nest” we called it for a minute, overlooking an alley with 24th st to the left and 25th to the right. Mission st was behind us, but you could watch it from the roof. Andrea was the youngest one at the time. We named her “Baby Eagle” which became “Beagle” within seconds. 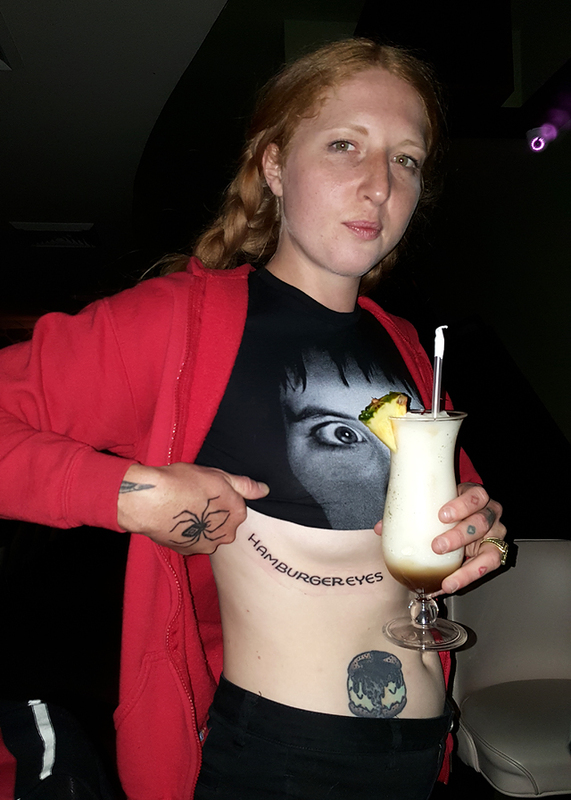 It didn’t stick as a nick name, but it marked an epic era for Hamburger Eyes. Sooner or later we got kicked out. She got this tattoo in Nyc approx 1 year after eviction.